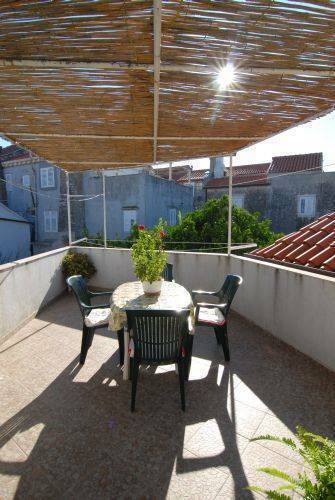 Apartment 'Nina' is located in the center of the town of Korcula (Old town). 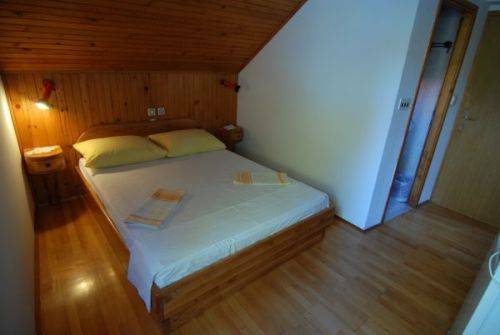 Our offer includes fully renovated apartment for four people and there double rooms, all equipped with satellite, TV, free internet and air conditioner included in price. 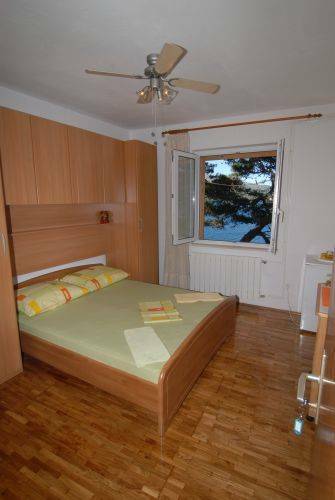 The apartment and all the rooms are with the ocean view and there is open air terasse used for breakfast and any meal. Besides that we offer you high quality olive oil and wines, made by ourselves, which is without saying, fully Eco produced without any pesticides or artificial fertilizers. Of course, we expect you not only using this while you stay with us, but also to take with you as one of the best, souvenirs you can take from Macko Polo born place, Korcula. 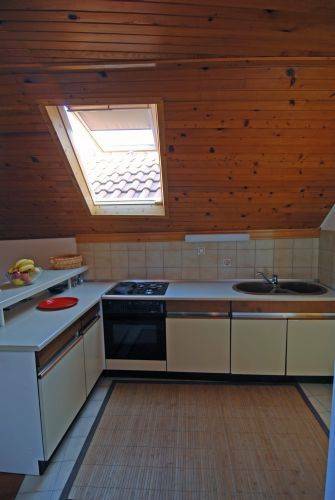 The supermarket is just 100 meters away from the apartment, restaurants are 30 meters away, the beach is just 100 meters away and the rock beach 20 meters away. The harbor is just 100 meters away and the bus stop 150 meters away. Disco and cocktail bars are 40 meters away. Museum 40 m away from the apartments. House of Marco Polo 30m away from the apartments. Cathedral is 50 meters away from the apartments. Sword dance " Moreska " is 50 meters away from the apartments. Fish, meat and food from this Island. Nice view to the ocean. In side of the wall. Fresh fish and meat on the grill. In the middle of the forest. Food from this Island. That is 8 km. from the Korcula town. View to the ocean. Good food, fresh fish. Cancellation policy is a day before. Payment is a day before leaving. Cash only. 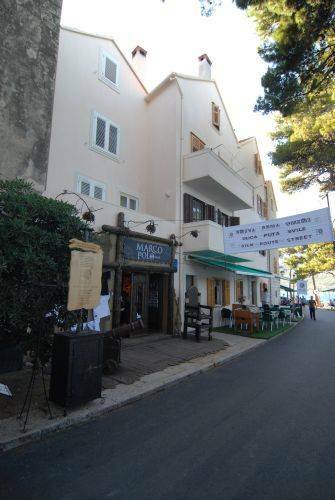 Apartment 'Nina' is located in the sea side of Old town, on the first floor of house you will see Marco polo shop and Pizzeria Pape. Bus terminal is 100 meters away from the apartments. 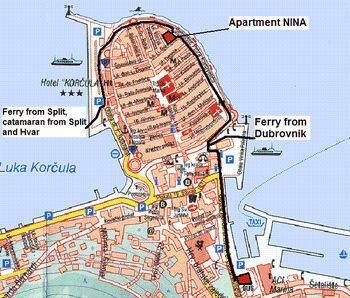 Ferry port is just 50 meters away from the apartments.